There are a number of ways to navigate around the site and this section steps through tools to move around and familiarise yourself with the content. 1. 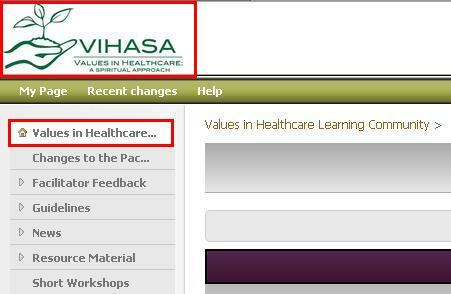 By clicking on the 'VIHASA ' logo on in the top left of your screen. These two features are to be found on every single page throughout the site. A tree view or an outline view is a user interface element that presents a hierarchical view of information. Each item (often called a branch or a node) can have a number of sub-items. An item can be expanded to reveal sub-items, if any exist, and collapsed to hide sub-items. The navigation tree on is located on the left hand side of any page. You can expand any node that has a ► sign next to it. Clicking it open will reveal the pages that live under the parent page. Hovering the cursor over a page tab will bring up a pop-up of the full page title; this is particularly useful where, due to restrictions of maximum display size, some titles are cut short. When you've found the page you are browsing for, click on it to navigate there. When that page loads, you will notice the navigation tree automatically opens up to that page showing all of the pages it has as siblings as well as any of the nodes that might be its descendants. To organise a single point of access for pages otherwise spread over the site; as on the Home page. To organise a sub menu. 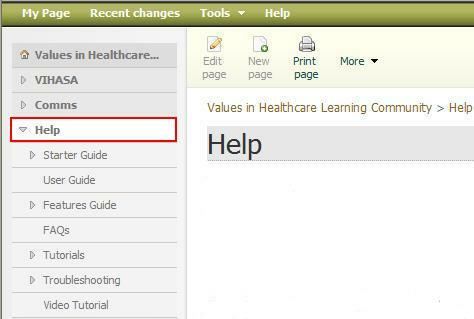 Find the required tab and click to navigate to the relevant page. The term Breadcrumbs or breadcrumb trails comes from the trail of breadcrumbs left by Hansel and Gretel in the popular fairytale. It is a navigation aid that appear horizontally across the top of each page, just above title bar/page header and allows users to keep track of their locations within the site. A greater-than sign (>) serves as hierarchy separator. links back to the parent pages of the current one. For access , click on any page along the trail.